Salted Hash Kracker is the free all-in-one tool to recover the Password from Salted Hash text. These days most websites and applications use salt based hash generation to prevent it from being cracked easily using precomputed hash tables such as Rainbow Crack. 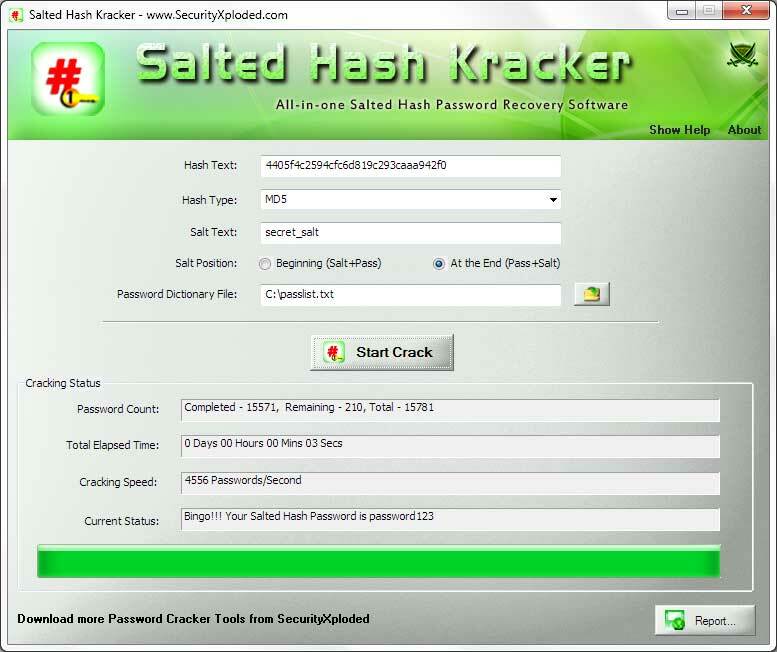 In such cases, 'Salted Hash Kracker' will help you to recover the lost password from salted hash text. It also allow you to specify the salt position either in the beginning of password(salt+password) or at the end of the password (password+salt). In case you want to perform normal hash cracking without the salt then just leave the 'Salt field' blank.